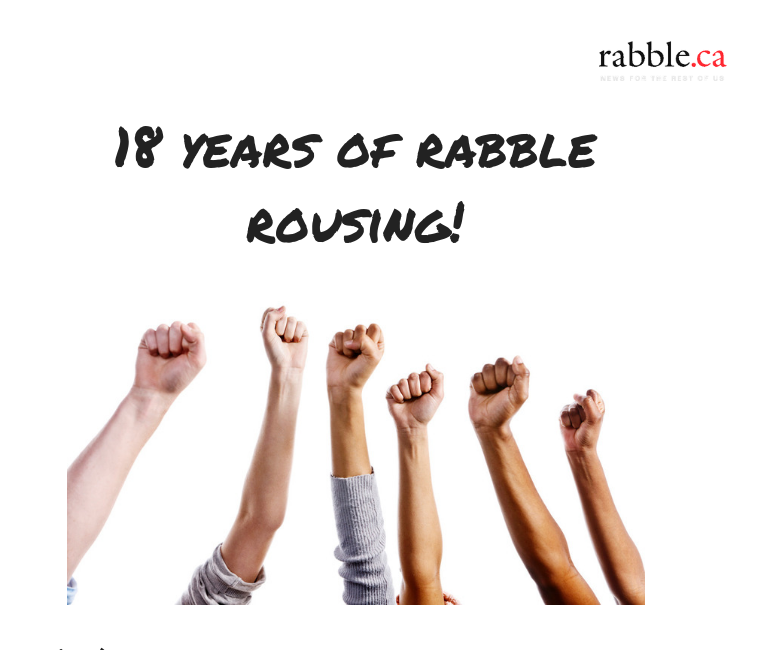 rabble.ca celebrated its 17th anniversary on April 18, 2018. These are dynamic times in the world and web, and dynamic times for rabble. In these annual reports we break new ground in organizational transparency. See where your memberships and donations contributions go as we highlight where we have been and the exciting places we are going. You can download our 2017 annual report here. You can download our 2016 annual report here. You can download our 2015 annual report here. You can download our 2014 annual report here. You can download our 2013 annual report here. You can download our 2012 annual report here. You can download our 2011 annual report here. You can download our 2010 annual report here. You can download our 2009 annual report here. You can download our 2008 annual report here. You can download our 2007 annual report here. You can download our 2006 annual report here.